Our litter „C“ was born today. 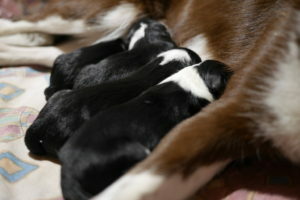 We have one black and white male and three black and white female. All puppies and Kiri are OK.